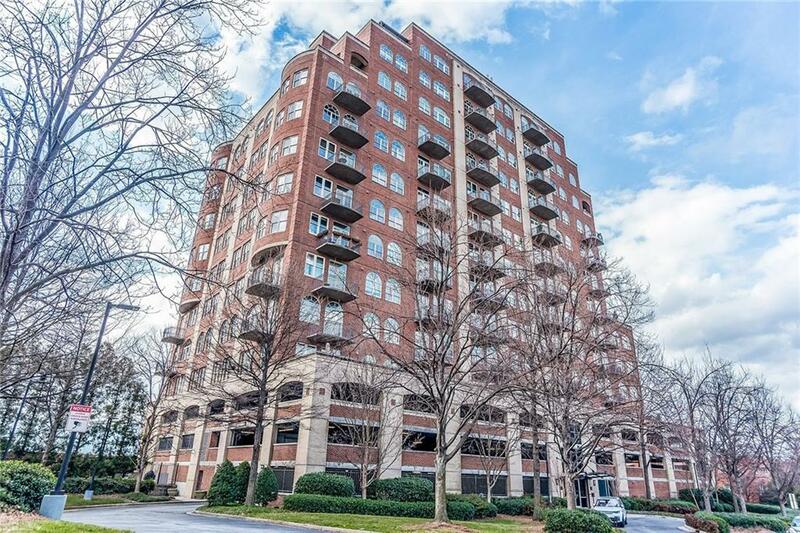 Rarely available loft in sought after Mathieson Exchange Loft Building in heart of Buckhead. 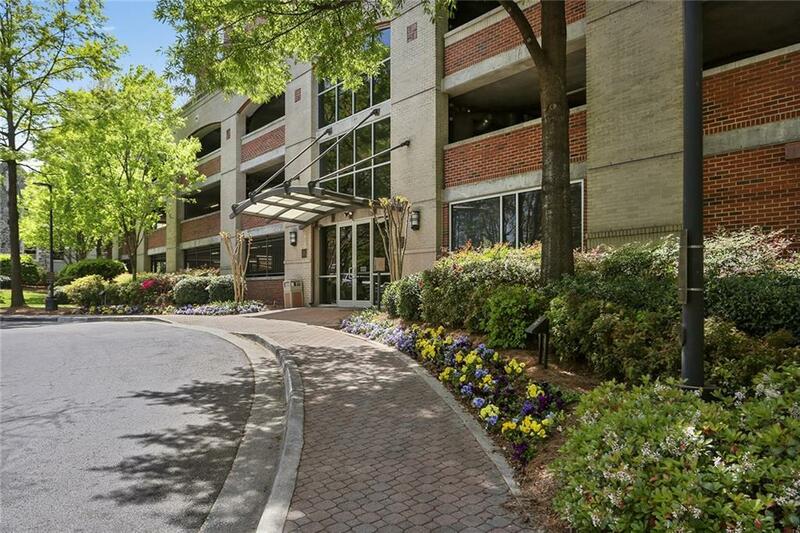 Just across street are restaurants/retail in swanky Shops of Buckhead. 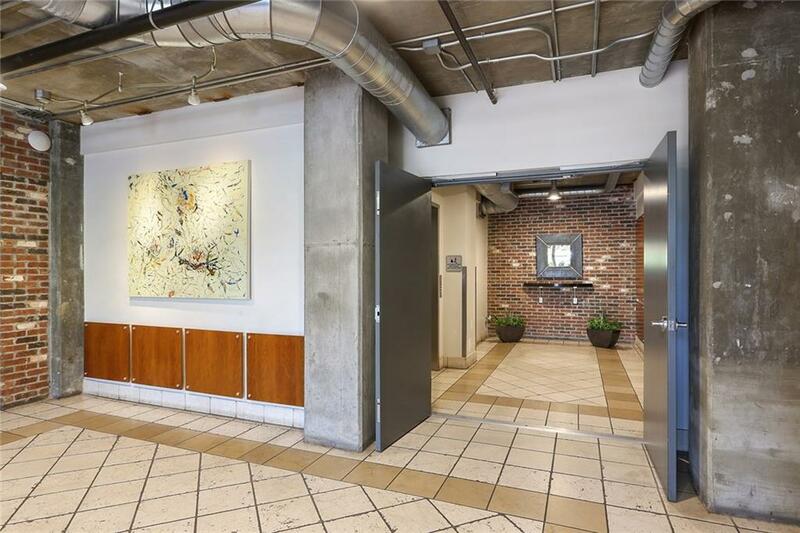 True loft w/ exposed brick, duct work, xtra high ceilings. Just replaced in 2015: water heater, stove/oven, dishwasher, refrigerator. 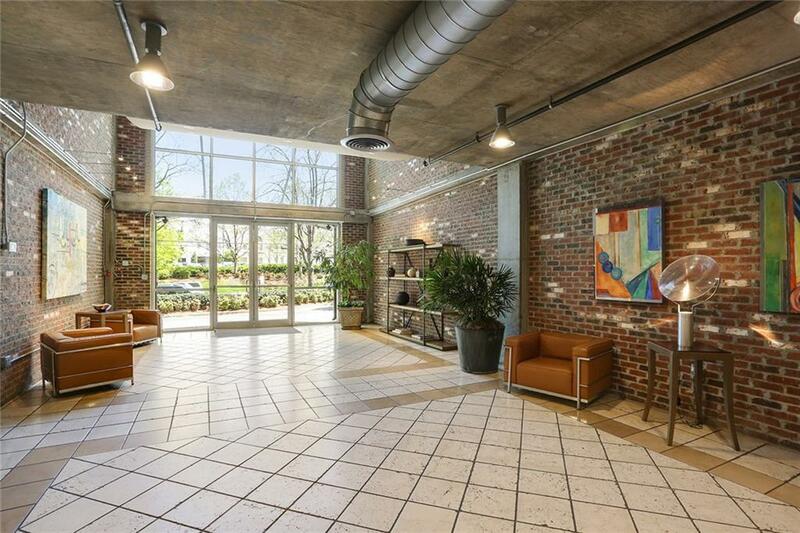 Over-sized covered patio runs span of entire unit (rare in a condo!) Assigned deeded park space. 24/7 concierge, gym, pool w/ sauna plus clubhouse w/ billiards, cater kitchen, huge rooftop patio w/ Green Eggs, firepit, large TVs. Deeded storage unit. Will not last long!